I can't believe that it's been nearly a year since my last post....well maybe I can....it happens. I hope you've been keeping up with us over on Instagram and Facebook! I have expanded my Instagram into a handful of feeds to focus on each area of what we have going on. 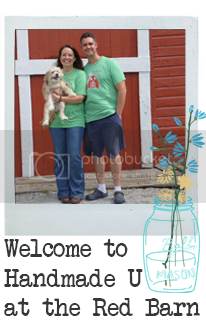 @rjmcgough is mainly focused on my family including Cora McGough our puppy, our property and the things we do day to day. @handmadeu is mainly focused on what crafty things I'm up to, mostly baby things right now with our upcoming adoption less than 2 months away! More about that later! Also this is the main feed for all the upcoming retreats and adventures at the Red Barn. @handmadeufit is focused on encouragement to live a healthy life, whatever that means for me on a given day. Perhaps it's the Yoga challenge I'm doing now, or the Superfood Healthy program we use, or just encouragement with a post of our BARN....all feeds have the Barn creep in, it's just a big part of our lives. @modernstitchcon is a new feed I'm building slowly. I love everything about stitching and want to create a space to focus on all the amazing stitchers out there. I don't think they get enough love. I also have some plans of patterns and projects for this...more to come. We have our Upcoming Semester of Handmade U coming this June! Check out all the details HERE and let me know if you want to be here for our One and Only semester in 2018! Also you'll be one of the first gals to meet our little babe. We are thrilled for her to be a part of this special semester! Lori Sparkly Franklin and Kelli May-Krenz are the amazing teachers who's projects are going to blow us away. I can't wait. 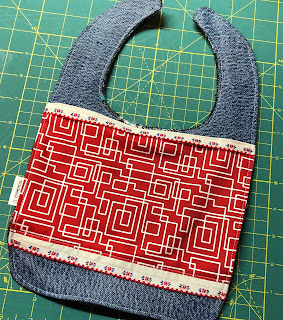 I know many of you loved the Handmade U Online Course Zipper Pouch 101! I so enjoyed making it for you and loved seeing what you all made! I had so many ideas for a second course that was to elevate your ZP game that I started right away making videos! I even had a teaser video out there sometime last year! But then life got busy with other things and those 6 or 7 last videos just hovered over my head for months. However good news is now here!! Since we are less than 2 months away from being new parents with our hands so full, and are our hearts even fuller, I felt like it was time to get this thing DONE!! So I worked last week to finish the videos, and began SLOWLY uploading them. Our internet is painfully slow in this department, but I just did one at a time, baby steps as you'd say. And sure enough they are now loaded, on the class page on my website, and ready for you to jump in!! 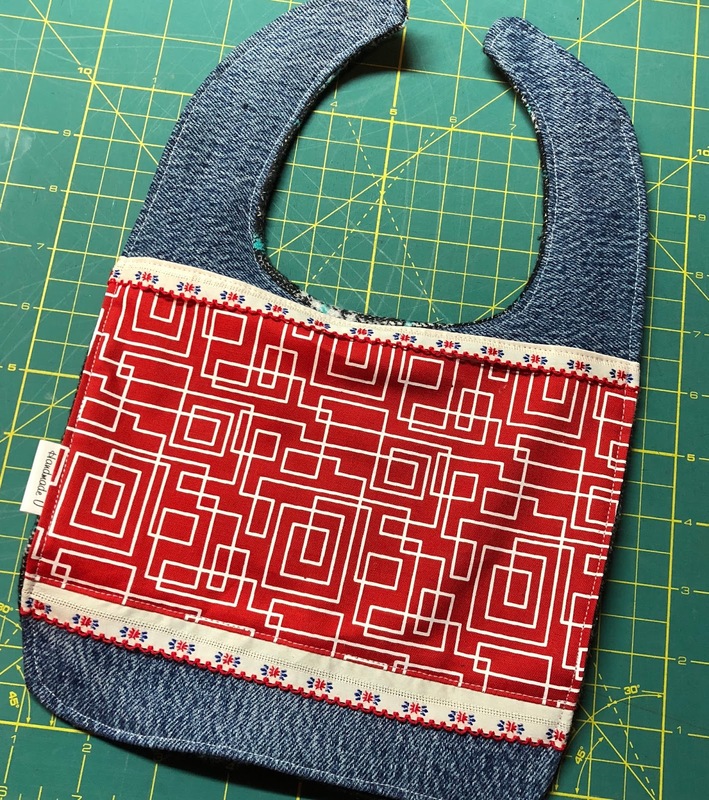 I'd love it if you've taken Zipper Pouch 101 to give 102 a try!! If you haven't taken 101, I'd highly recommend it! I'll even add an option for 101+102 as a special price so you can have the whole shebang! Stop over to my etsy shop and join in now!! You may even find a fun kit or two for St Patty's day or for Spring that you'd enjoy too. I can't wait to see what you create! I'm cheering you on! Tag me @handmadeu or #HUZipper102 when sharing your pouches! Glad to be back, so sorry I was gone so long! How have you been?? Leave me a comment below and let me know you're still here! The Power of Words - Day 1 - Intro! Day 31: Next Steps: Putting Yourself Out There Companion Course Preview! !